The aim of this Cookbook is to give you a rough feeling for what GeoGebra is and how it can change the way you teach. Feel free to reuse and redistribute all materials. 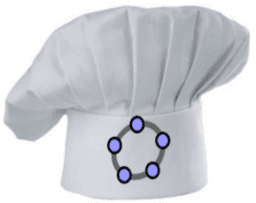 GeoGebra Cookbook is brought to you by The Nordic-Baltic GeoGebra Network http://nordic.geogebra.no/.